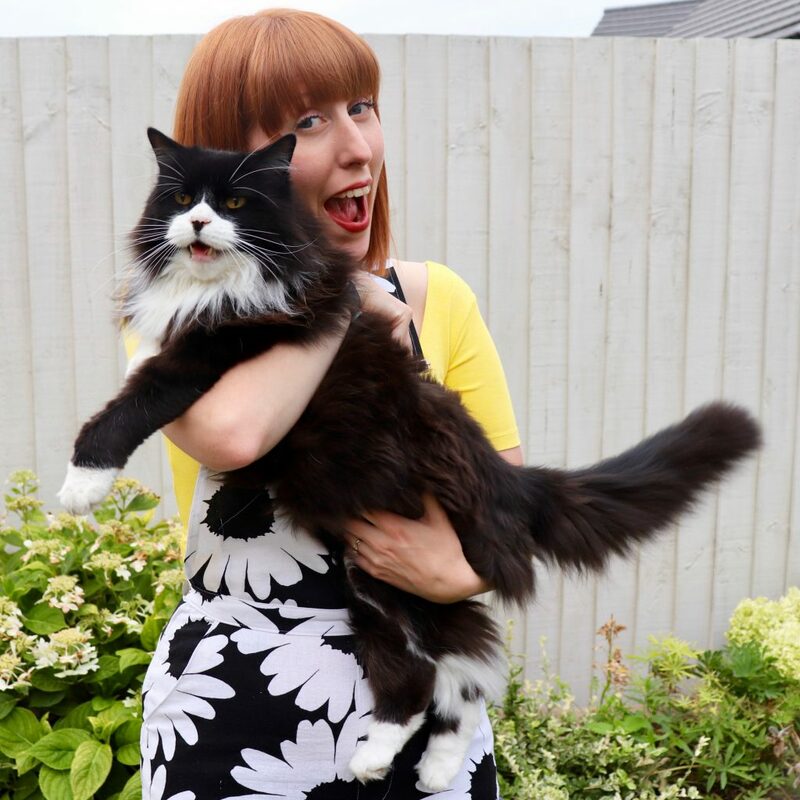 I am so pleased to share the first make for the Blog by my Sewing Wife, Birthday Twin and all round Sewing Goddess, Jen from Gingerthread Girl! 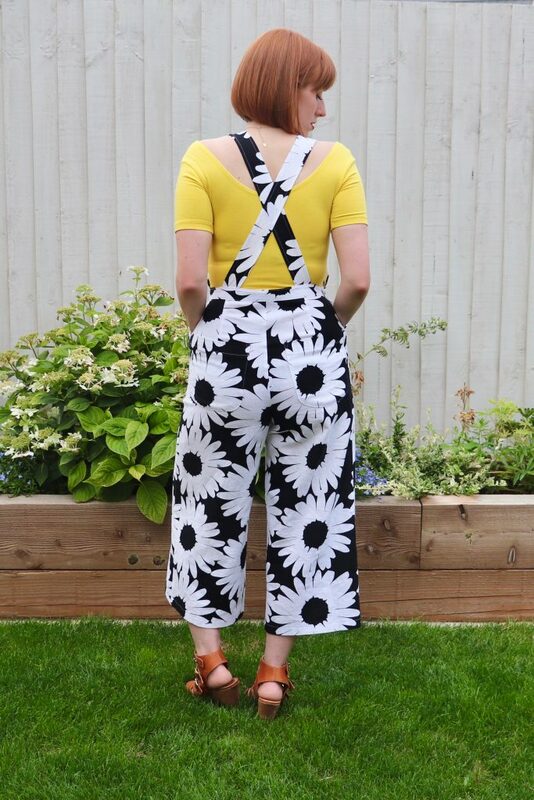 Jen has made the awesome Jenny Overalls by Closet Case Patterns from our Mono Daisy Linen/Viscose mix and they look downright adorable! I love the styling too! Guys, I am so excited to share this make with you! 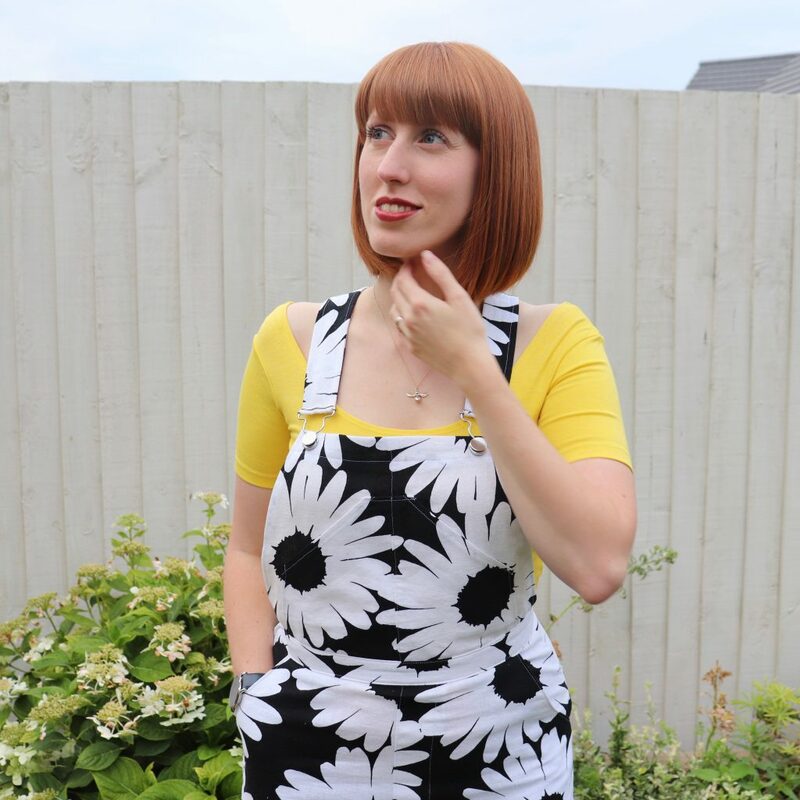 Not only is this my first project as part of the Like Sew Amazing Blogger Team, but this is also my first ever pair of Closet Case Jenny Overalls and I can’t stop gushing over them! The fabric I used was a linen viscose blend with this giant daisy monochrome print from Like Sew Amazing, and using it with this pattern was complete marriage made in heaven. This blend of linen/viscose has a lovely balance of structure and drape, making it ideal for this make. I had a bit of trouble with attempting some pattern matching, as the pattern was so large, and had some very slight differences across the fabric. I tortured myself for a while, trying to get it perfect, and then realised that I might as well just get on and enjoy the process. 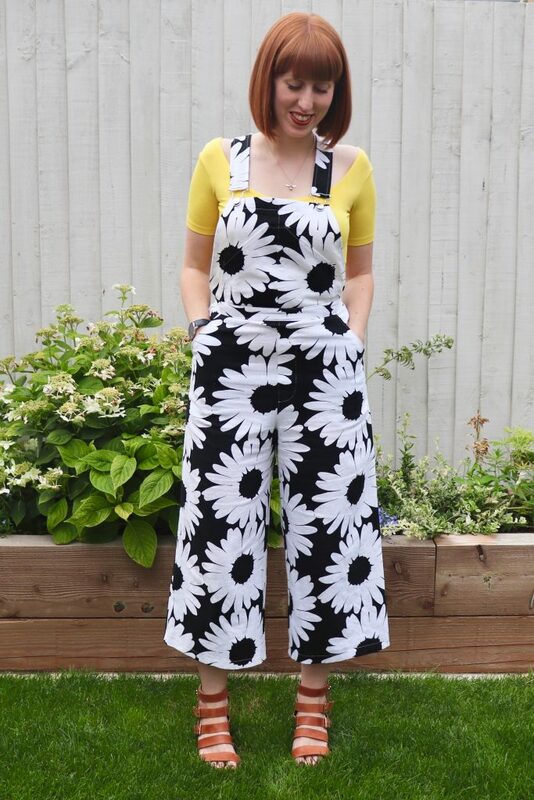 I fretted for a while over the sizing of these overalls – convincing myself that they wouldn’t suit me, or fit around my hips/bum! I ended up sewing a straight size 10, and I’m astonished at how well they fit. Seriously – they’re so good!! And I thoroughly enjoyed every part of the construction of these gorgeous overalls – from the faux fly to the side zipper (I inserted 1 only, and that is fine for me). The instructions were as you would expect from Closet Case – crystal clear and enough detail to stop you (me) from screwing anything up. I honestly cannot stop raving about his pattern. If you’re toying with the idea of making these, then I urge you to bite the bullet. One of my all time favourite patterns!